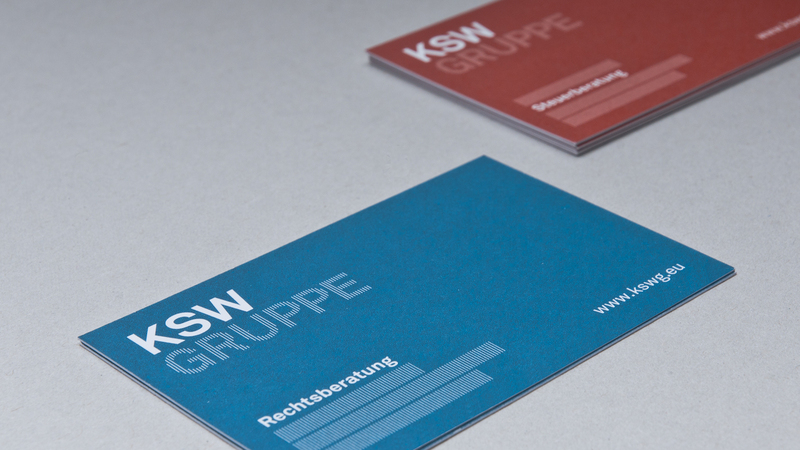 With the new arrangement of the corporate design of the KSW Gruppe, Dart structures the four areas of consultancy in four colour worlds and furthermore arranges a design basis for the whole corporate group. 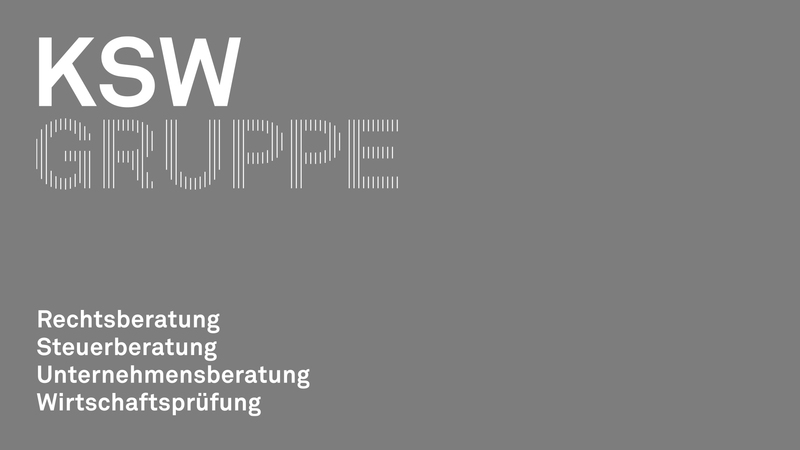 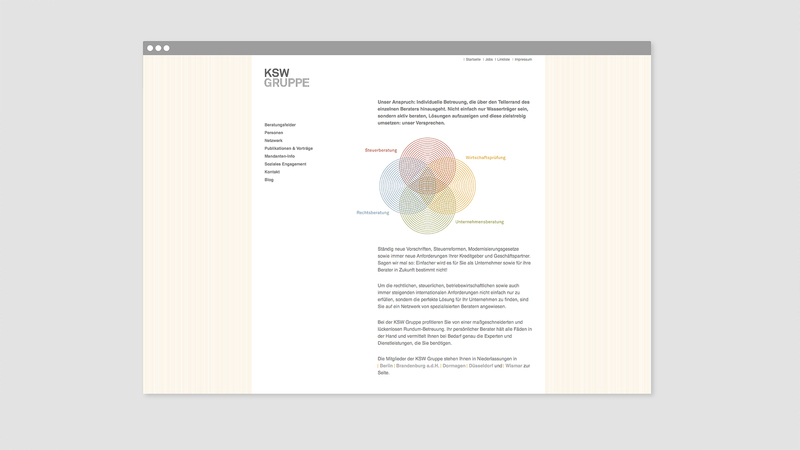 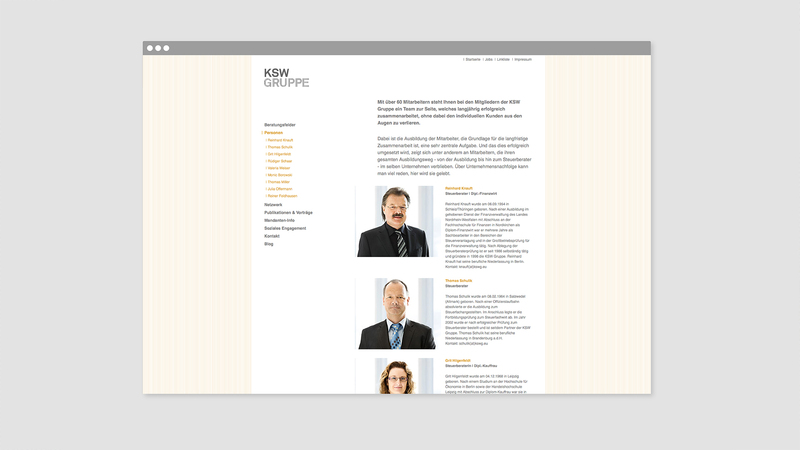 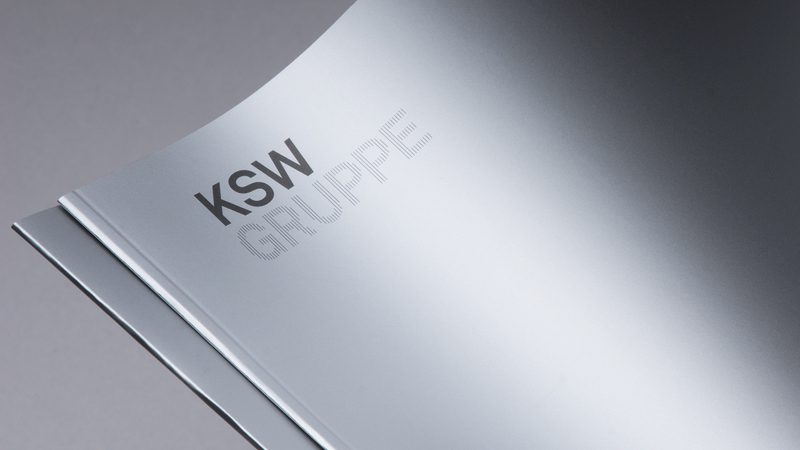 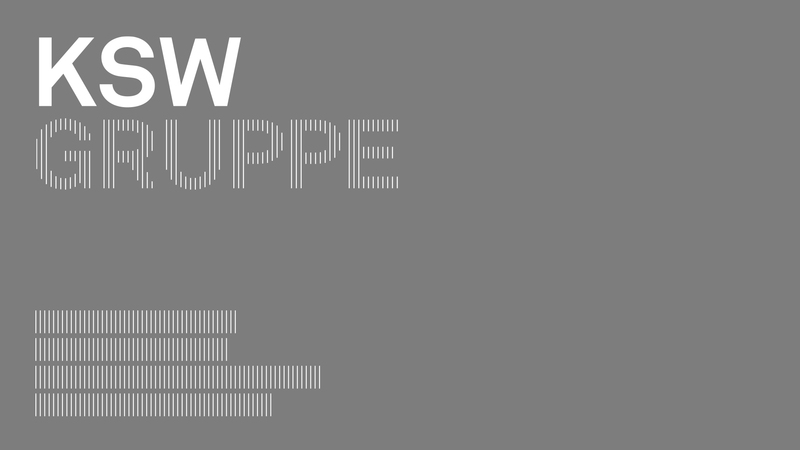 The new appearance of KSW Gruppe embraces the whole corporate group. 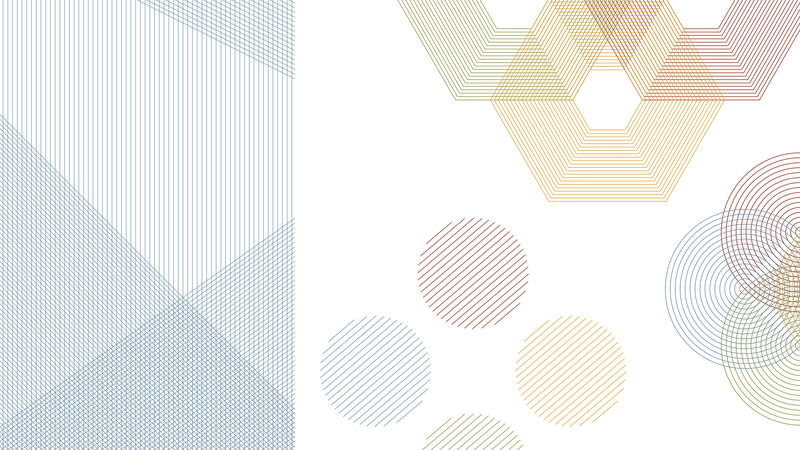 Fine lines, like those of a net, constitute the consistent design element of brand communication and underline the complex network basis of the provider of consultancy services. 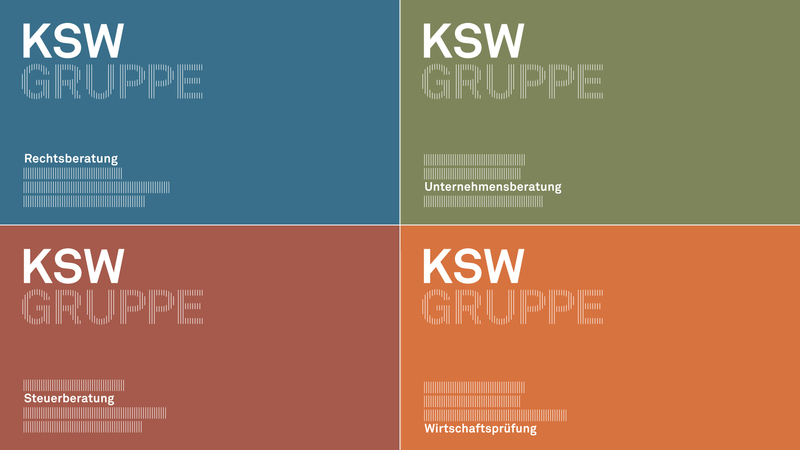 Every specialization, be it tax consultancy, business consultancy or legal consultancy, has got its own colour identity and thus clearly delimits itself from the other business areas of KSW Gruppe. 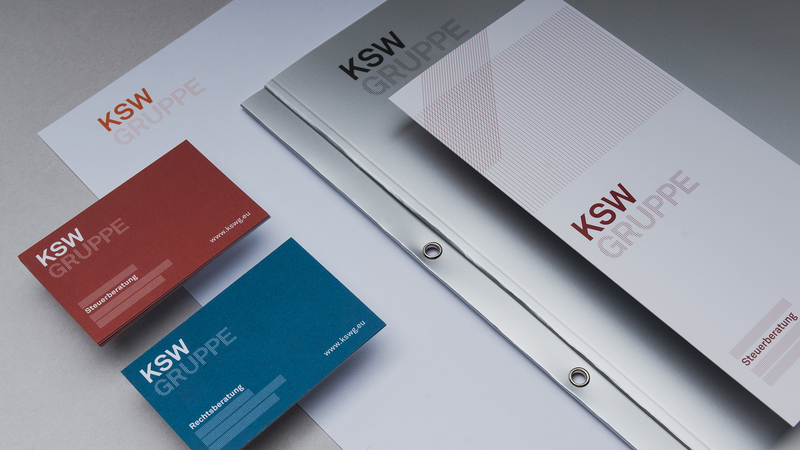 Apart from means of communication like business papers and business cards, D’art Design Gruppe also develops the brand communication like information material and the web design of KSW.